Attempting to create your first real training budget? 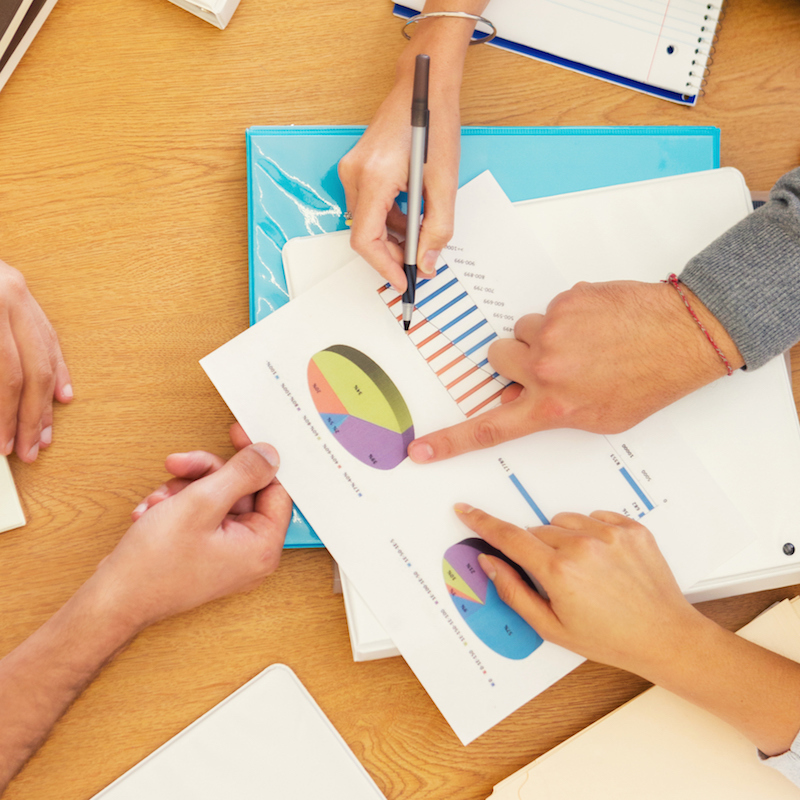 Already have your training budget but wonder how your budget compares to others? Here are some quick data points and thoughts to help in both cases. To create a budget amount use a percentage of total compensation for the organization as a base and multiple that number by 2% to 4%. Does 4% seem high? Well, interestingly, according to Training Magazine, an industry publication that ranks the top 125 organizations for employee development, the mean training budget of these companies was 4.33% of payroll. 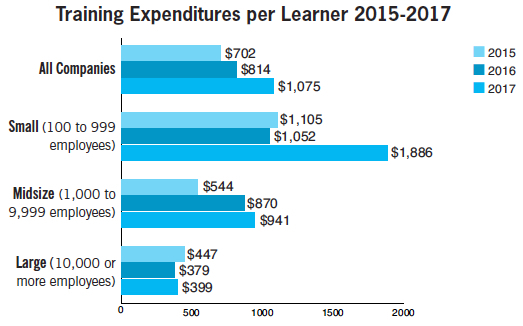 The graphic below reveals the size of training expenditures by learner. These budgets include all types of training from leadership development to customer service to technology applications. Create your initial budget by multiplying the appropriate per learner expenditure amount by total number of employees. As you build your budget spreadsheet, make sure to include some indicator of type of employee groupings or initiatives. This will allow you to 1) think through the type(s) of training that may be needed for the group in the coming year and 2) create summary budget amounts based on percentage of payroll for each group. Here are some groupings to get you started. Finally, it is important to develop a strategy – even a loose strategy – for why you plan to provide training programs. Having a simple statement of focus allows you to clearly communicate the intentions of the investment. We want to provide our newest leaders – those who have been leading for less than 5 years – with the foundational knowledge to be effective at managing our employees. We want to provide our high potential leaders with the business knowledge and leadership education to be prepared as our senior leadership ages to retirement in the next 5 years. We want to provide each of our generation Y employees with awareness to their communications style and the styles of others. We want our product teams to develop cohesive team behaviors. Bishop House builds great leaders. We teach leaders at all levels how to lead well and leverage their own style and talents. Thousands of leaders have become more effective through our group training and one-on-one coaching programs. See a copy of our Foundations of People Leadership training program; it’s what we recommend to clients who want to build great people leaders within their organization.